Carnforth was en fete on Saturday to do honour to Private Halton VC, Royal Lancaster Regiment, who resides with his parents at Highfield Terrace, and to give him a cordial “welcome home”. The news that Private Halton had been awarded the VC for ‘conspicuous bravery,’ was received with unbounded satisfaction, and Mr A Hoyle and members of the Urban District Council set themselves at once to organise a suitable welcome. Steps were also taken to provide a fitting tribute for Private Halton, and to this end a representative committee was appointed, a subscription list was opened, and social functions organised. The project was enthusiastically taken up, and a gratifying response has been made. 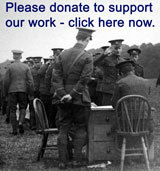 It is hoped to raise £200 for the purpose of providing Private Halton with a War Bond to that amount, but the exact details have not yet been arranged. Private Halton was given 14 days leave from the 26th , and he started on that day for home. But railway travelling from the theatre of war was slow, and he did not arrive at Carnforth until 1.20 on Saturday afternoon. The notice was short, but Mr Hoyle and the councillors, with the Committee and Mr Unsworth (clerk) acted promptly. A demonstration was arranged, which soon assumed large proportions. By noon the town presented quite a gay appearance, flags and banners being displayed from most houses, and also from the Church tower. The space leading to the railway station was kept free, and here the official procession was formed. Amongst those present were Mr Hoyle, chairman of the District Council and Committee; Mr T Jackson, vice-chairman; Messrs F W Lambert, A Sandford, T Ripley, E E Unsworth (clerk), H T Chew (assistant overseer), Dr Jackson (Medical officer); Rev H J Mercer, vicar; Rev. G H B Judge; Messrs, J R Hall, James Sill, W Wilson, G W Collinge, W J Winder; Mr F W Cobb (headmaster National School) Corporal B T Barnard (headmaster Hawk Street School); and school children from both schools were present in large force in charge of their respective teachers. Supt. Scott was in general charge of the arrangements. Rev H J Mercer, responding to the call of Mr. Hoyle, said he would like to bear testimony, said he would like to bear testimony to the delight they all felt at the noble work their VC had done – the self-sacrificing action by which he had saved many of his comrades’ lives, and happily his own life as well. He had gained the most distinguished honour it was possible for a soldier to earn, and many men would rather have the little bronze medal than any other distinction that could be granted – for it was given “for valour” in the field. They were proud to honour Private Halton and his family, and as long as Carnforth existed its people would remember him as the first lad who had gone forth from their midst to win the VC. No doubt the day had been a trying one to him, but he would remember it was long as he lived. Those present had tried to show their appreciation of what he had done, and of the honour he had brought to the township and his native place. 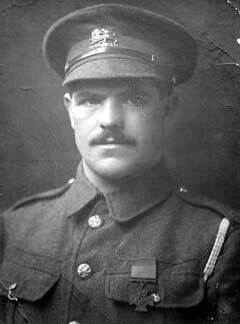 He (Mr. Mercer) had pleasure in expressing what he believed everyone felt – their pride in Private Halton, and their pleasure in welcoming him home after his bravery in winning the VC (Applause). There were calls for “Speech” and Private Halton, having by the time resolved to “see it through,” addressed those present, his remarks being punctuated by cheers. He said he was very pleased to see the people of Carnforth again. He was the first Carnforth lad to win the VC, and he was proud of it for Carnforth’s sake, and proud that he belonged to Carnforth. “I may say,” he went on. “Carnforth has done its duty for King and Country. There are a few lads around me now who belonged to the King’s Own, and they know some of them were with me in the battle of Ypres; Private Steward knows what is is like. Then Private Ashton was in the First Fifth King’s Own at the same time as I was. They have done great deeds, they have suffered for it, but they have done the deed.” Private Halton called for three cheers for Mr Hoyle and the Committee for what they had done, and apologised for having kept the people waiting for his arrival. He had been congratulated by many people on the work he had done, and he hoped cheers would be given for them, and for all the Carnforth soldiers. After more cheering the proceedings ended, and Private Halton was able to join his immediate relatives. “It was a dangerous thing for you to do, to go out into the open under fire, was it not? In reply to further questions, Private Halton said Captain Law was wounded, and so was Sergeant Brockbank, but when the men told what had been done, Captain Law ordered a report to be prepared, and he sent it down the line. “And they gave me the VC for it,” added Private Halton. He said that Sergeant Brockbank was wounded, and he was afterwards reported missing. He belonged to the 1st King’s Own, and was a Carnforth man. He also explained that the shells holes in which the machine gunners and snipers were hidden were in different directions – one was at the left incline from the position captured by the British and the other at the right incline. “That’s all, I think,” said the interviewer. “Yes, that’s all,” replied Private Halton quickly. “I am glad this is over,” and he heaved a sigh of relief. Private Halton was decorated by the King on Wednesday.